Our private lot is on the side of the restaurant by the front door. When the lot becomes full, we have access to alternate lots in cooperation with the Beachwoods Property Group. These parking lots are located just beyond our adjacent lot, to the west. After Dinner (10:00pm) on Friday Nights we offer live music with local and regional bands until 1:30am. During the Spring, Summer and Fall, we often have a solo acoustic performer on our Oceanside patio. We are capable of providing food and cocktails for a large variety of events, on- or off-premise. We often host birthdays, anniversaries, rehearsal dinners, pharmaceutical dinners, etc. in the restaurant. For larger events such as wedding receptions and large scale anniversary parties, we can cater in your rental property or selected banquet area with a full scale, personally designed menu. Within the restaurant, we are capable of seating as many as 22 people upstairs for a semi-private event. In our wine room, we can accommodate up to 12. If needed, we can book the downstairs dining area to handle up to 60. Ocean Boulevard Bistro and Martini Bar is an upscale dining restaurant on the Outer Banks of North Carolina. We are open nightly for dinner and drinks through all seasons. 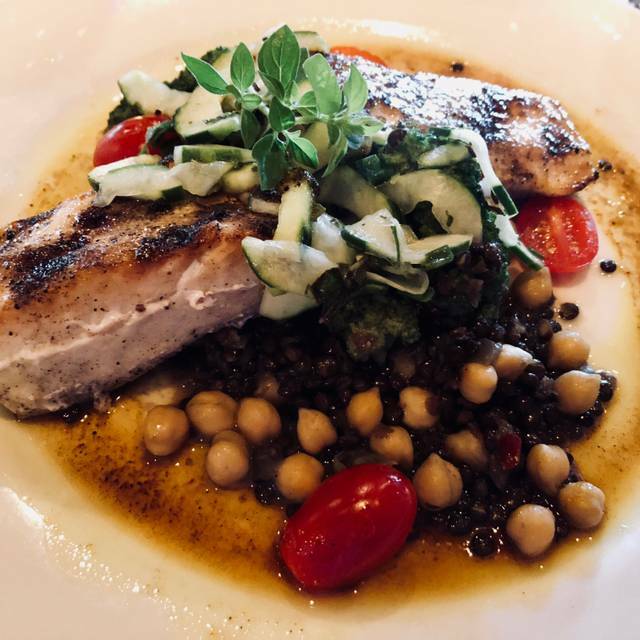 We pride ourselves in using fresh local and regional ingredients, in season, to create interesting and flavorful meals. We have a comprehensive wine list and have been awarded "Best of the Beach - 2014-2017" for our Martini Bar. We also have an oceanside patio, across the street from the beach, for drinks and waiting. If your reservation can not be completed online, please call us at 252-261-2546 to inquire about special seating arrangements. Cheddar heirloom Grits + Trinity Vegetables & Smoked Paprika spiced "Gravy"
Cheddar heirloom Grits, NC Shrimp + Trinity Vegetables & Smoked Paprika spiced "Gravy"
We used to go to Ocean Blvd regularly many years ago and recently returned since we purchased another house at the beach. It did not disappoint. Just as good as always, food, service and quality. We will be going back. At long last after searching all week, for just a decent meal, we found the best restaurant on the strip! So good went the next night and would go again if it wasn't our last night in town. The food was expertly prepared every morsel was delicious, drinks were spot on and hospitality was A+. We love Ocean Blvd! Best dining in OBX! 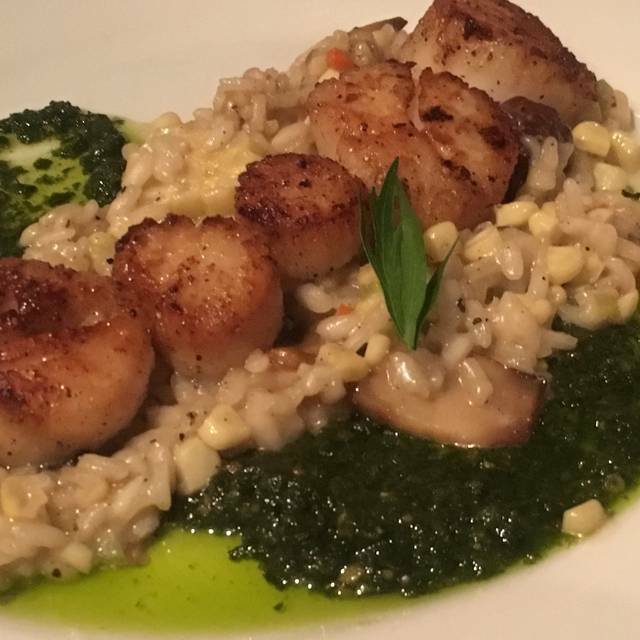 We booked a table at Ocean Blvd Bistro and Martini Bar with high expectations based on review of the menu posted on the Bistro's web site. We had requested a quiet table overlooking the water. When we arrived, the table was ready and was as promised – a nice quiet table upstairs with a great view of the ocean.When we were presented the menu, we found that many of the items we had seen online and which had drawn us to book here were not available (out of season, according to our waiter). We settled on some choices and ordered. 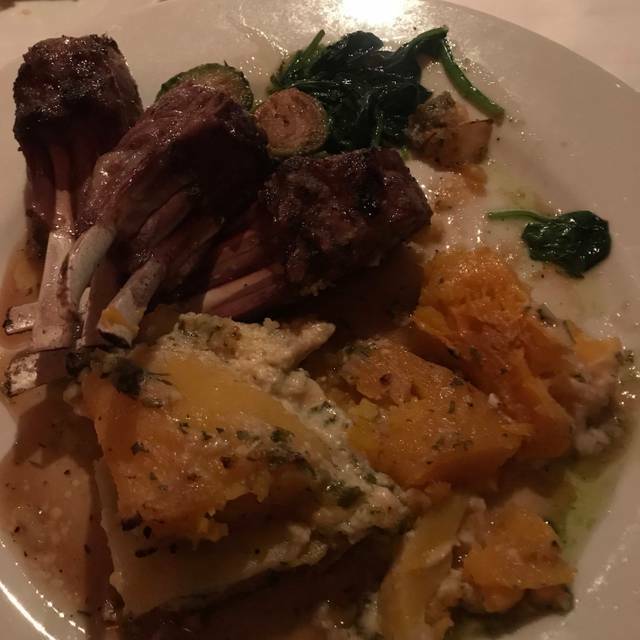 My order of lamb shank came as described in the menu; my wife's shrimp and scallop pasta with spinach came without the spinach; our waiter said the chef told him that he was out of spinach. The chef offered to provide another vegetable on the side, but this was not appealing. We felt that we should have been notified up front that there was no spinach. This soured the entire meal experience. The pasta contained one scallop, cut up, and five shrimp; as a consequence and considering the absence of the spinach, we felt the overall value was not very high for this meal. You all are the best restaurant in OBX! We’ve never had a bad experience here. The food is always an interesting blend of flavors, tastefully presented, with fresh ingredients. OB is definitely a cut above the typical beach restaurants. It’s still casual enough for a beach environment but nice enough for a special occasion. Highly recommended! We had a fantastic experience here after almost passing it over for another choice. So glad we came! We have eaten in some very fine restaurants and the food, wine list and service we received was extraordinary. I left a much higher percentage tip than usual because it was so good. The attention to detail by kitchen staff was remarkable. Do yourself a favor and come here, you won't be disappointed. Always love our dinners at Ocean Blvd! Great ambience and service as well. We had a great meal. We will certainly return the next time we are on the Outer Banks. We are rarely impressed when we dine out, as we are both good cooks. The tuna with shrimp, collards and grits cake was outstanding! We will be going back to Ocean Blvd. Bistro next time we’re in the area. 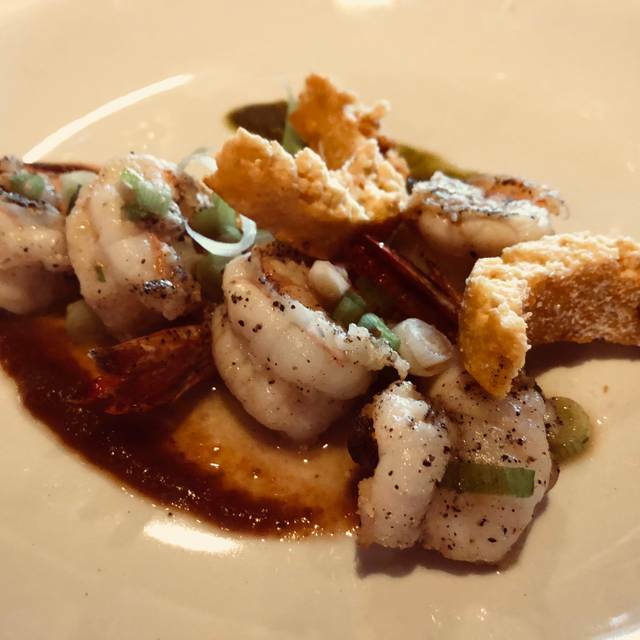 My wife and I were celebrating our 1st wedding anniversary and I chose Ocean Blvd because all descriptions (including the reservation reminder) stated the location to be upscale, requiring smart casual attire. I believed this would be a great place to have a romantic meal. However, when we arrived, people were dressed in jeans and t-shirts and the wait staff was even in washout black polos. Additionally, the tables while white table clothed were spaced too close together and gave the feeling of eating in a cafeteria at times with conversations were easily over heard from one or two tables away. Not my idea of an upscale restaurant. Although not dressed as I would of expected, our waiter was very attentive and knowledgeable of the menu and specials. The Martini's while good, were way over priced. 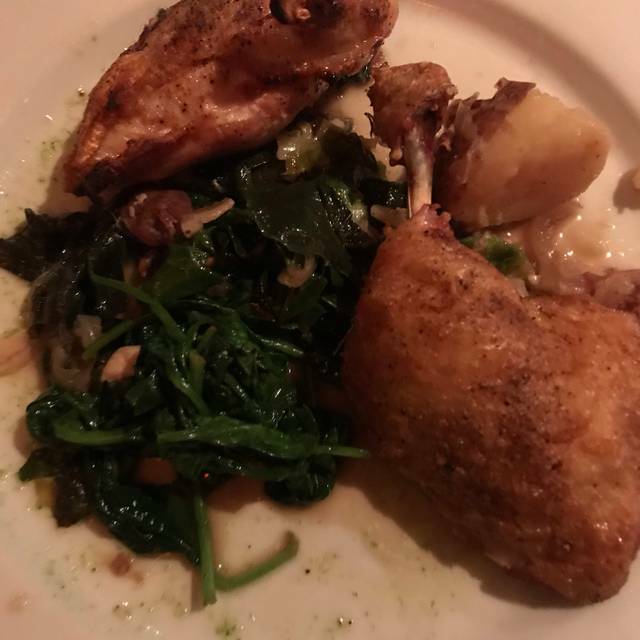 Gratefully, the food was in fact upscale, absolutely phenomenal and clearly the star of the show. One neat feature of the restaurant was the open kitchen with a bar you can sit at to work the chefs at work. This speaks volumes to the quality of the food, cleanliness of the kitchen and the chef's skills. Went here for St. Patrick’s Day. Dinner was delicious and our waitress was superb. Eating at the Ocean Blvd is a wonderful experience. Highly recommended for an evening of intimate dining! Always great food. Relatively quiet on an off-season Sunday night. Very enjoyable. We have always enjoyed our sojourns at Ocean Blvd, and value the friendships we've made over the years. It is a special place for us, and, quite frankly, we save our visits for special occasions. We thank the staff for making our experiences so special. 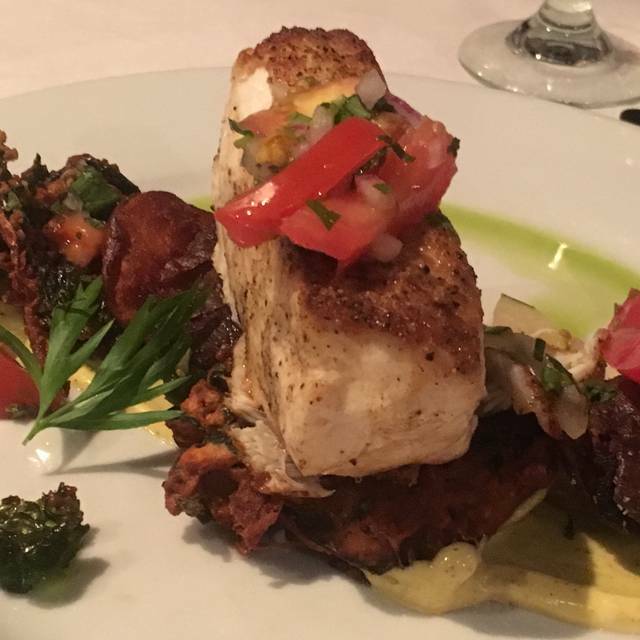 Simply put, Ocean Boulevard is the best restaurant in the OBX. They had a Fat Tuesday event that was quite enjoyable. The New Orleans themed menu, staff and entertainment were great. If you are ever in the OBX, plan on going to Ocean Boulevard. I guarantee you, you will be disappointed. Ocean Blvd is one of the few restaurants on the beach road, and has a friendly warm atmosphere. Our server was very good and attentive. The food is good and presented well. Sometimes, dishes have too many ingredients and are a little over the top. But they do seafood and fish very well and the salads are great. It is a little on the expensive side. Our dinner Friday night was absolutely delicious! We had the flounder/shrimp dish and it was one of the best meals I've ever had. Donnie and Heather plus the staff took wonderful care of us. My suggestion...GO! Chef Mike is superb at preparing delicious cuisine. Portions were perfect and the flavors were exceptional. We love this place especially at the chefs counter. Fried oyster salad was outstanding as were the chicken livers with hot honey glaze. Fancy food without the fancy flavor. Wasn’t impressed. It was a little pricey for wine. The food was delicious! My steak was perfect! This a very good restaurant! My only issue was the way the wait staff was deployed on the night of our visit.. We were assigned a table on the upper level of the restaurant, with six tables in our section. After being seated, we waited a full 20 minutes before we were approached by a waiter, all the while, the other tables were being attended to by other wait staff. After our waiter finally arrived, he apologized profusely for the wait, and explained that he was assigned two of the six tables in the upstairs dining area, and the rest of his tables were on the main level of the restaurant. Upon observing the other tables, it was determined that there actually 3 waiters assigned to the upper section, each having 2 tables. This configuration required the wait staff to constantly traverse the stairs in order to properly attend to their two tables. Most inefficient! It would just seem more reasonable to have one waiter assigned to the six tables in the upper section. Yes, the waiter/waitress would be climbing steps all night, but I don’t imagine any more than they were as it was. Alas, once our waiter became aware that we were seated in his section, he was most attentive, and the evening was a success. Great Valentines Day dinner. The rack of lamb was outstanding and the bourbon bacon sauce over apple crisp really good. OB is the best on the beach! Truly one of the finest restaurants in the world. Our meals have always been outstanding as well as the service. Their Valentines Day special menu was fantastic. Can’t wait to return. See their menus on their website. The preparation goes far beyond any other restaurant. I love this restaurant the food is always delicious. Very well done. But my boyfriend I are vegetarians and more vegetarian options would be wonderful. Great food that is always prepared in a very different way. Love the use of different flavors and spices. The poke tuna app so good. A definite go to restaurant anytime in obx !! One of our best dining experiences ANYWHERE! Everyone was warm and friendly. The food was just over the top! 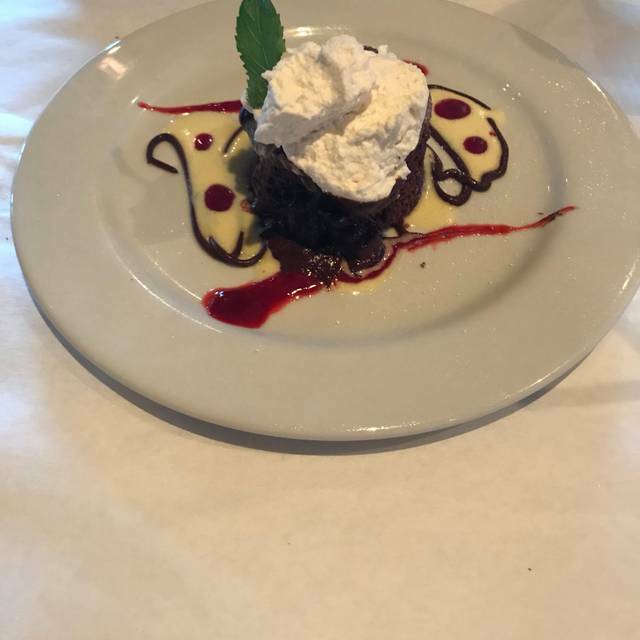 From cocktails to apps to soup to entrees to coffee and dessert. We would highly recommend. Fabulous food Not a big menu but everything is delicious but unfortunately prices are high. A true treat! Great casual fine dining in the OBX. Interesting diverse menu and good specials. We went twice in a row since there were no other choices of the same caliber nearby. Always a pleasure to have a wonderful meal at Ocean Blvd. 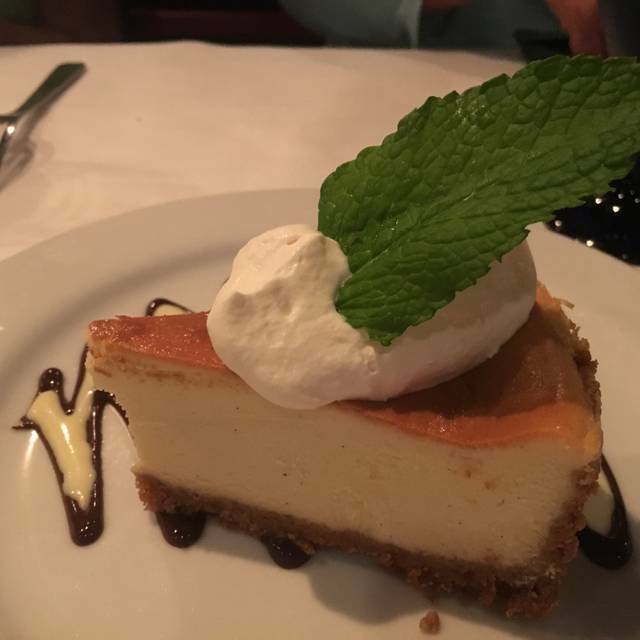 Favorite memory is 20 years old when we took our oldest grandson for dinner and his Mom d=said we had ruined him for life since he would not eat out anywhere that did not serve creme brule. 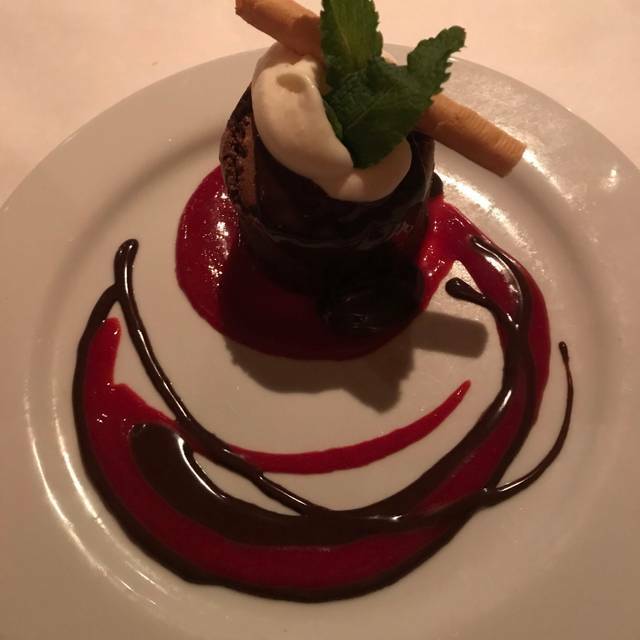 From the Manhattans to the chocolate dessert, everything was exceptional. We had the lamb meatball appetizer which was delicious. My husband had the flounder, shrimp and grits special and I had the swordfish. Both were prepared to perfection! Most definitely our favorite place on the OBX for a special dining experience. The food and service were excellent. The prices were high as compared to similar dishes at other restaurants, but we would definitely go again! Important note for those with mobility issues: restrooms are on the second floor. Thank you so much for the excellent review! We are glad we could be a part of your weekend getaway!Just a quick note regarding the restrooms -we do have first floor handicap/wheelchair accessible restroom on the first floor right by the front door for those with mobility issues. If this was an issue for you, we apologize that it was not pointed out by our staff. We look forward to seeing you when you are in the area again. Sat at chefs counter n loved chatting w Chef Mike . Welcome to chef Jay too. Loved chicken livers n pork belly. Took my wife there for her birthday. It was just great. Couldn’t ask for better anything and the food was perfect . Probably the the best we’ve had on the beach.